March 2010: my Google Profile was "not yet eligible" to be "featured" in Google's search results. My profile was private and Google was attempting to get me to make it public. I thought that was a clever use of reverse psychology, so I took a screenshot and posted it to Twitpic. 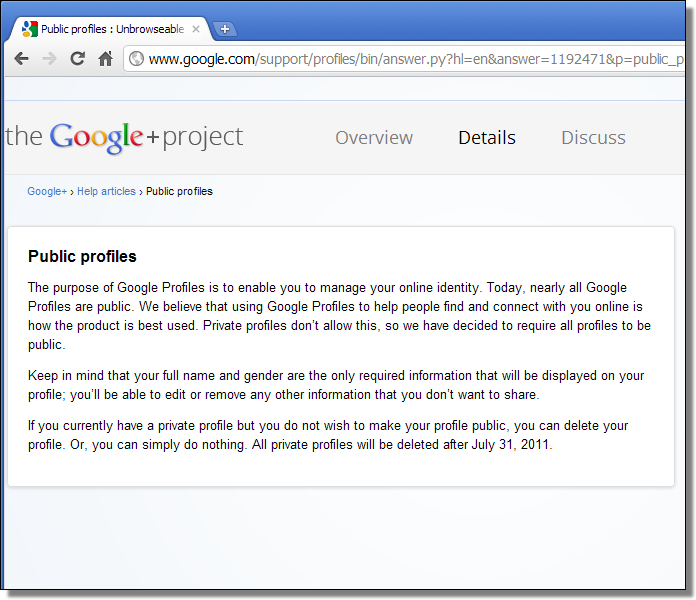 Today I read that Google will be deleting all private profiles after July 31. This is related to Google+ migration. So I decided to review my ("private") profile to see if there was anything that I needed to save. And then I discovered that my profile was no longer private. 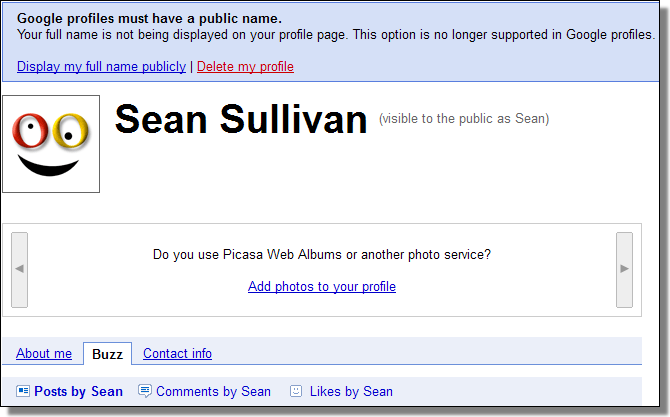 Google said that my full name was not being displayed on my profile page. 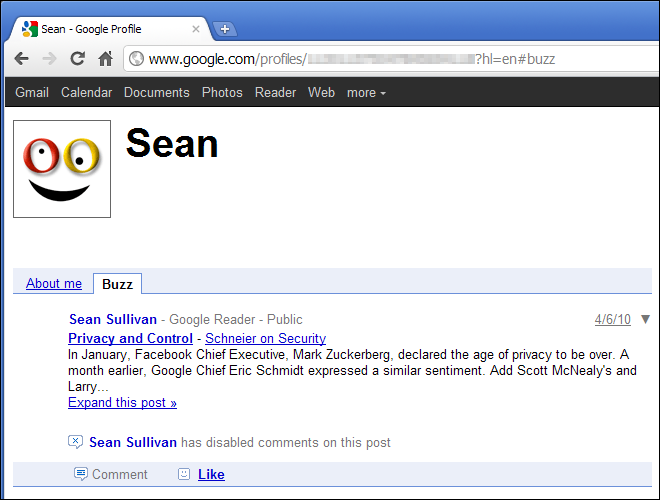 It was small comfort that my full name wasn't displayed on my profile, because it – was – displayed under the Buzz tab. So next, I "unshared" everything that I had shared via Google Reader. And then, I examined my "Sharing settings". My settings were configured to: "Protected (Shared with selected groups)". Protected? Well it sure seems like it was public to me! If you haven't reviewed your Google Account settings lately, I highly recommend using Google Dashboard (and soon).